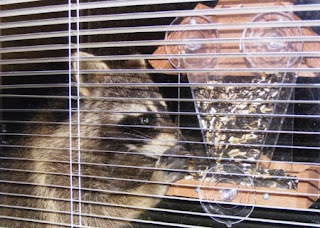 You can imagine my surprise - this bird feeder has been raided by squirrels but never at night - what could it be? Do you think I should let the dogs out now???? No way - poor little Kaylee would be toast.